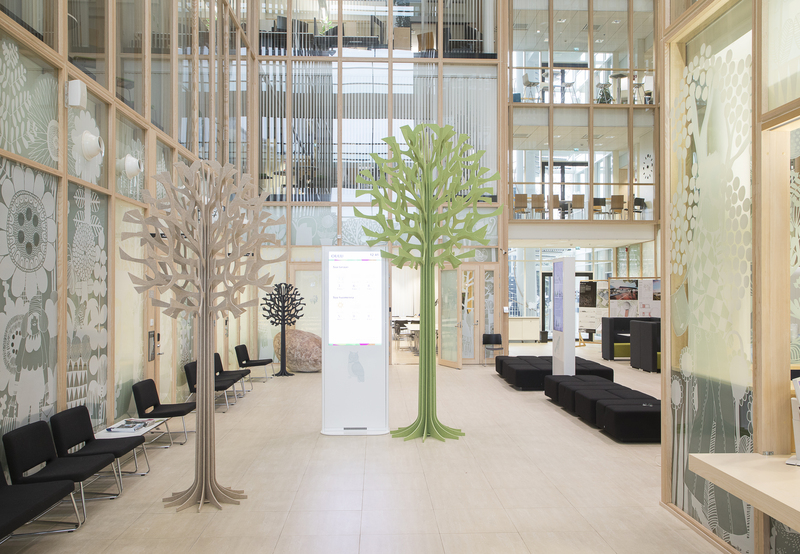 Lovi Acoustic Trees and Acoustic Spruce Trees not only make a visual statement but also abosorb sound and in both ways improve just about any space. From small 120cm tall Acoustic Spruce Trees to 4 meter tall Acoustic Trees they are all made of acoustic felt made of recycled plastic. Made in Finland in our own manufacturing unit and flat-packed for easy shipping. In addition to the beautiful stock colors several special order colors are also available.